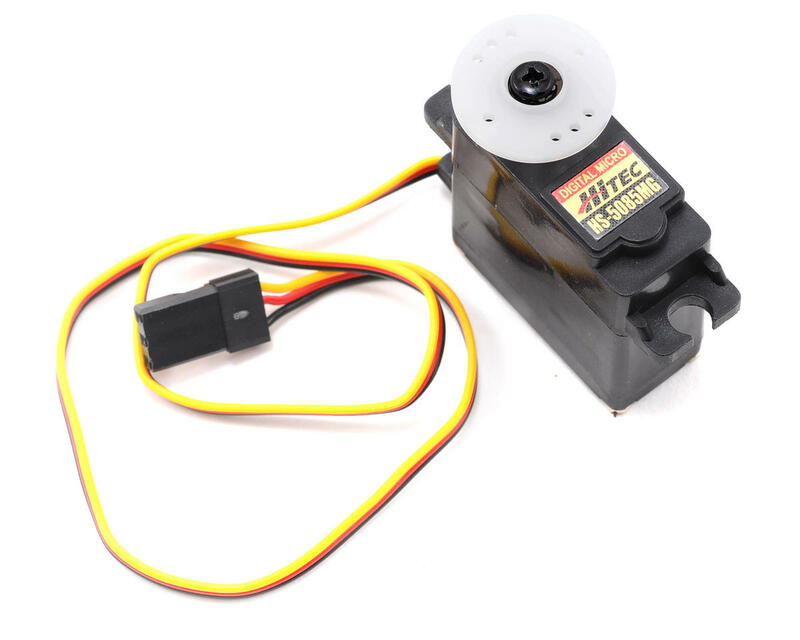 A digital version of one of Hitec’s most popular mini servos the HS-5085MG offers excellent centering, resolution and durability for those looking to save weight without sacreficing performnce. A popular servo for smaller airplanes, heli’s, boats, cars and trucks, the HS-5085MG offers a fine balance between speed and torque. Speed: 0.17 / 0.13 sec @ 60 deg. I'm going to give this one 3 stars. It's a nice sturdy servo, but when you hit something there is one only ONE plastic gear in the whole entire servo and it strips out. 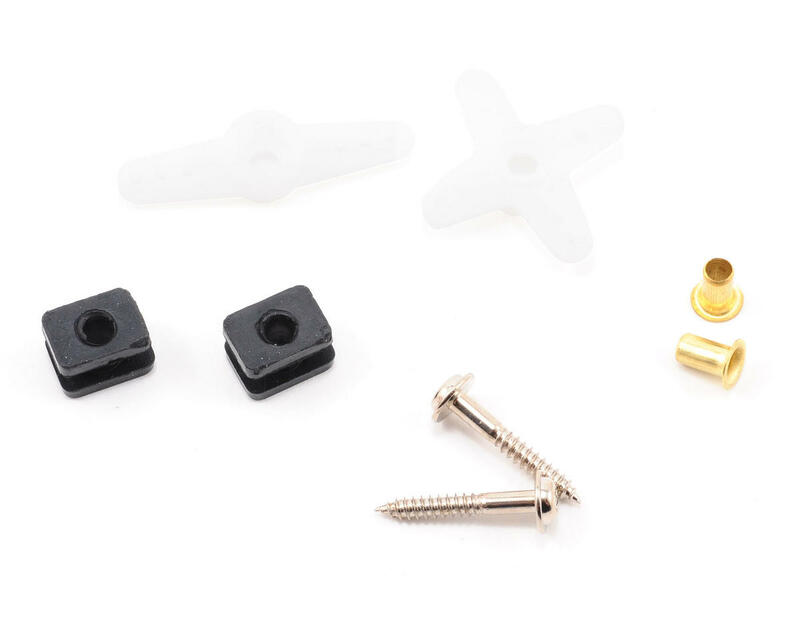 Thats not the worst part, you have to buy the whole set of gears for 16$ every time you break the thing. So now I have a whole crap load of metal gears that are never going to strip just because you only need the .01cent to make piece of crap plastic gear that is the size of a mole. 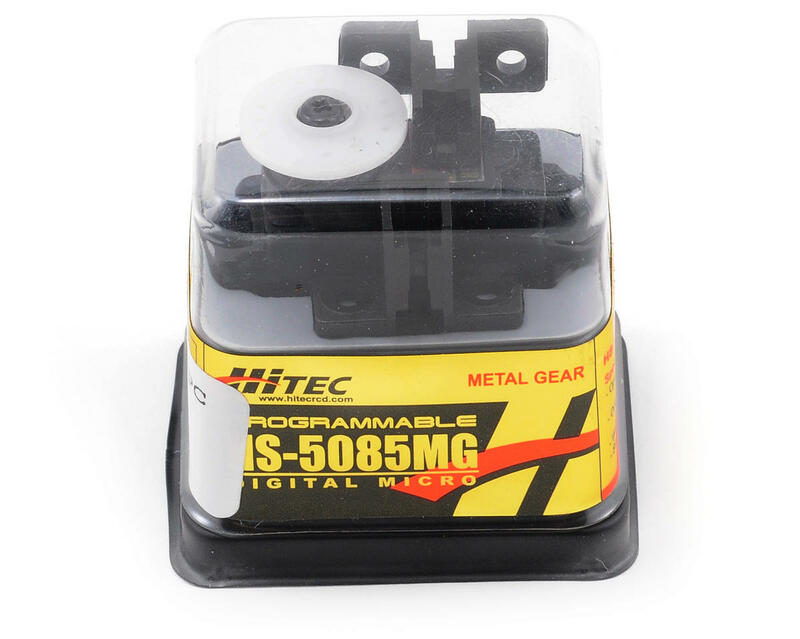 I love Hitec and I will still always buy their servos, but this one with the little plastic gear seems to be a design flaw in my opinion.